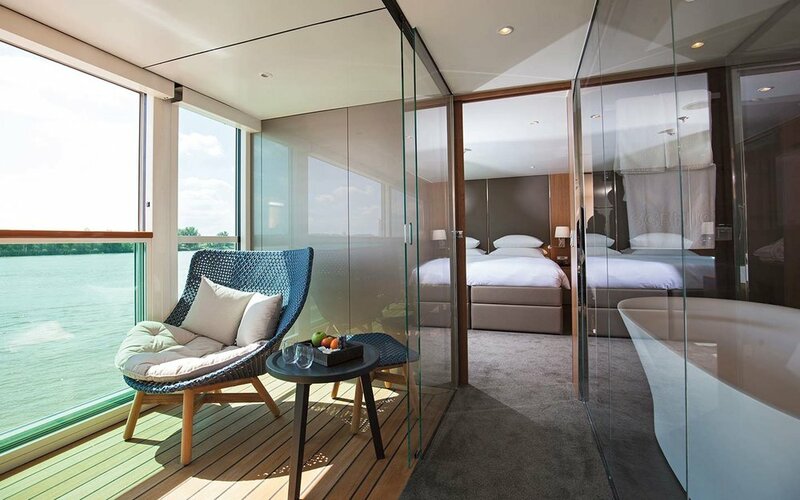 From accommodations to dining to relaxation, experience true luxury onboard Scenic's Sapphire ship. Prepare to have your standards permanently raised. 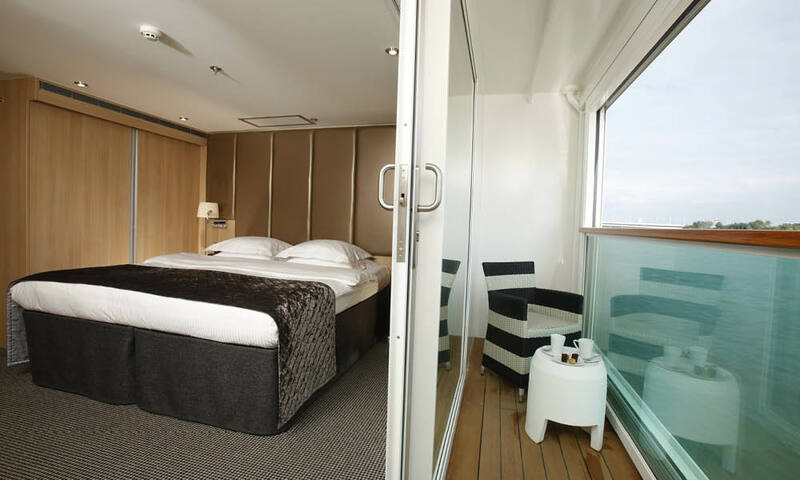 Almost every suite on board contains a private balcony so you catch the thrilling views on our journey. Choose from three well-appointed suite options, Royal, Panorama and Owner’s Suites, which offer the ultimate in spaciousness and comfort. Check out images of the suite options below. 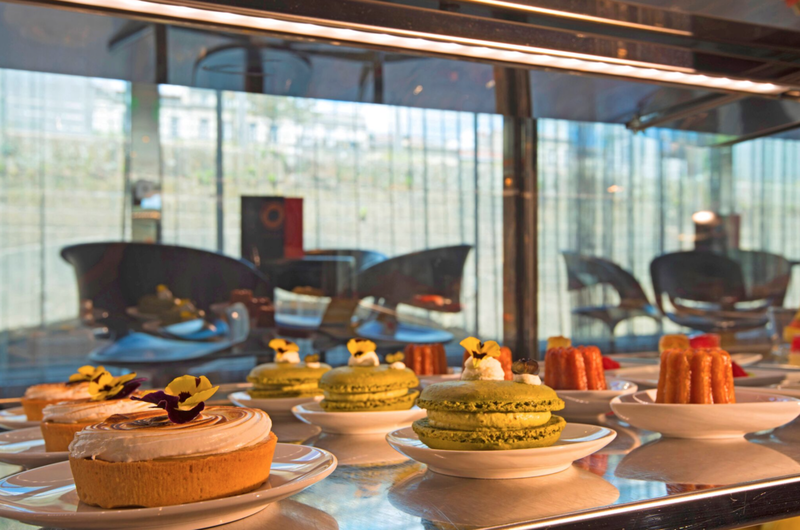 FOOD & DRINK | Immerse yourself in a range of dining experiences from five-star fare to casual cuisine. At Scenic Culinaire, an innovative on-board cooking school, you can develop your own culinary skills that you will bring home with you. All the while, enjoying a complimentary selection of fine wine, beer and spirits – served all day, every day. AMMENITIES | Relax in the vitality pool, keep up with your routine at the fitness center, and experience invigorating treatments at the spa (spa treatments at an additional cost), including its innovative salt therapy room. Complimentary WIFI is available on-board the ship. BUTLERS FOR EVERY CABIN | Expertly trained and dedicated to your every whim, your personal on-board butler is there from delivery your morning coffee to preparing your nightly turndown. Scenic has thought of everything, even a laundry concierge service (first kilogram included). Check out images of Scenic Sapphire's features below. Certain restrictions and limitations apply. See Scenic cruise Terms & Conditions for full details.